This Dehumidifier is ENERGY STAR qualified! No more foggy windows or condensation on walls in the poolroom with the HI-E DRY Vehere Humidity Control System. The Vehere utilizes heat transfer innovations that dramatically improve performance. This enables Therma-Stor to build higher capacity dehumidifiers with smaller refrigeration systems. A smaller refrigeration system requires a smaller electrical load. The Vehere removes 205 pints of water a day (80°F 60% RH) while drawing only 13.2 amps of electricity. The Vehere plugs into a 115 volt 20 amp outlet, and provides all the humidity control necessary for a 500 square foot pool. (82°F air temp, 80°F water temp, 60% relative humidity). The Vehere remove two to three times more water per kilowatt hour of electricity than any dehumidifier, conventional or installed. ***Note: Our shipping arrangement for the Santa Fe includes palletizing and shipping via an LTL freight carrier. There is a very high risk of damage when the unit is shipped via a small package carrier such as UPS. Typically, we ship via Fedex Freight service. This shipping offer includes "to the curb" delivery. 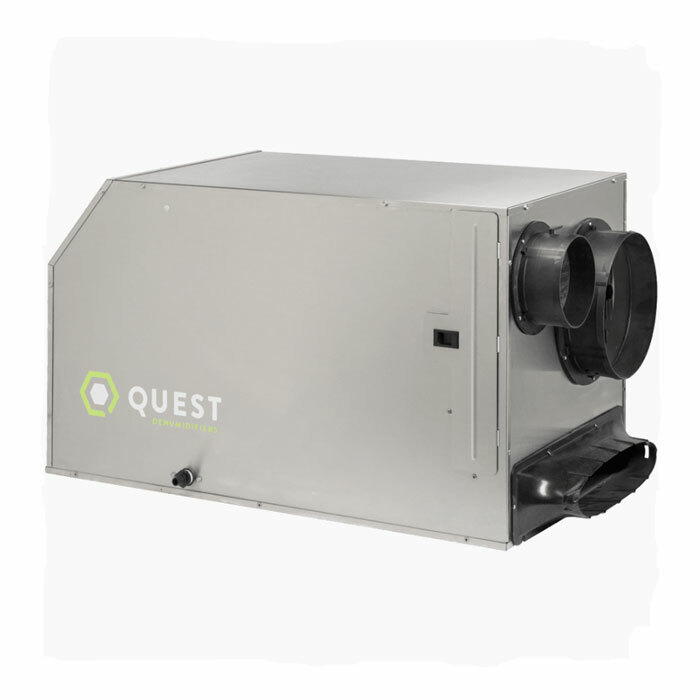 Click here for more shipping details on the Santa Fe dehumidifier. National Trade Supply is one of the largest Thermastor Dealers in the United States. We stock the entire Santa Fe family of products and accessories in our own facility providing you with a quicker turnaround time and instant tracking information on your order. We have installed hundreds of units in all types of applications and can offer expert advice on how to properly install yours. We are also an authorized service center for Thermastor products and can offer warranty service and replacement parts. If you are looking for the best possible dehumidifier and a company who can stand behind it, Thermastor and National Trade Supply is the clear choice. Standard: 2-7 Business Days: Free!